Platform Size 1.9" x 2.75"
Scale Size 4.4" x 2.9" x 0.6"
Easy CalibrationThis scale comes factory calibrated and ready to use. Just in case ya need to calibrate it, the LCS-100 comes with easy to follow calibration instructions. You'll just need to pick up a 100 gram calibration weight to get the job done. Stainless Steel PlatformThis mini scale has a durable stainless steel weighing platform to make cleanup a breeze. Unlike gold or silver, stainless steel doesn't scratch easily, and it keeps its shine without rusting or tarnishing. Man, This Thing Is Small!You won't have to worry about this scale taking up space. It's just under 5 inches long, and just 0.6" thick! You can take this scale pretty much anywhere ya want...stick it in a pack, purse, or in your shirt pocket. It Remembers The Last Unit Ya UsedIf your application needs weights in the same unit of measurement, (like ounces for instance), it can be a real pain if your scale always turns on ready to weigh in grams. It's a good thing the ProScale LCS100 turns on displaying the unit of measurement you were using when ya turned it off. Auto-Off FeatureIf ya have ever had the batteries in something run out because you forgot to turn it off, you'll realize what a blessing this feature is. The LCS 100 will automatically turn off after a few moments of inactivity, saving battery power and money. Good scale and accurate as my expectation. pocket size scale, 0.01g scale is great to measure hydroponic nutrients. happy with this one. Provided to all the maintenance staff for parts set up. I had one of theses but it was stolen during a break in and this one is the replacement. I find this product accurate and dependable. A great product rite right in my purse and works well so far. This is an excellent small LED scale. easy to use and very accurate. This is a handy little scale that has proven to be very reliable. It has good battery life too. This product works just as described. I bought a calibration weight and the scale was almost dead on out of the box. 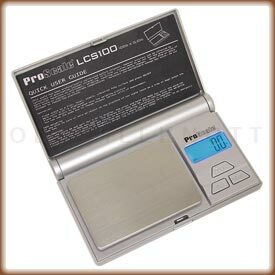 Very good value for the price...but it does just what much more expensive scales can do. Great overall. I use this scale for weighing film developing agents on a one-shot use basis. The scale is simple, accurate, reliable and repeatable. I love that Old Will Knott sends the anti-vibration pad with the scale at no extra charge. Be certain to purchase the incredibly cheap (under $3 at this writing) but neccesary 100g calibration weight when you place your order. Five stars! 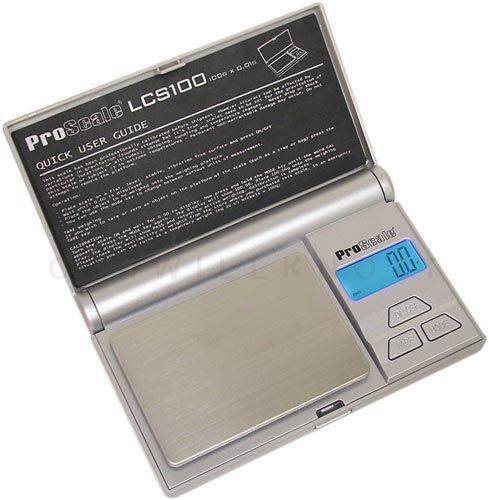 Before purchasing these scales I purchased two other sets from 'tech' sites. In both cases I had to send the scales back because they wouldn't calibrate or function.Old Will's "Scale Finder" and detailed information afforded me the opportunity to purchase the right set for me and they are consistently accurate, easy to use and have a 5 year warranty! Thanks guys. Everything as promised. Great service! I bought this scale for use with a new blood bank analyzer, and so far I have seen no problems. I wanted the scale because it is small and measures in grams with 2 decimal places. If I had it to do again, I would probable but the same scale. had scales like these before paid twice as much. will tell my friends about your site.